What is the difference between a Self Hosted WordPress Website and proprietary “turn-key” website platforms? It is actually more than you may realize. 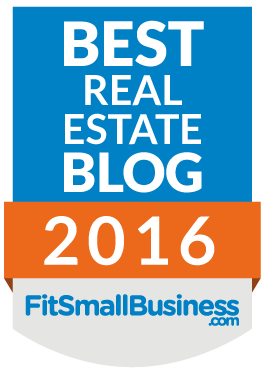 Full Disclosure: I believe that every Real Estate Agent / Broker should have a self-hosted site. However, I agree that there are some good reasons to choose a proprietary platform. I have heard many, many, horror stories from my clients over the years about the website disasters that they have experienced. In fact, I may have played a part in 1 or 2 of them. What I mean by proprietary website platforms is any website that you do not own, you just borrow them, or rent them if you will. At any given time your web presence could go out of business, be shut down, disappear, and definitely NOT be transferred. Often times the content that you add to “your” site is actually benefiting the company’s web presence that you are paying a fee to. There are many more examples of Proprietary Website Platforms, however, I will refrain from mentioning them by name as I do not want to disparage their offering. I believe that there are many of these platforms that offer an amazing service that fill a need for many Real Estate Agents. It is not my intent to bring a negative light to any of these services. What I am referring to is WordPress.org or WordPress MU that you are personally hosting. I am not going to get into detail about MU as the majority of my clients do not have a need for it. WordPress itself is Open Source, or Free to use. But requires hosting, themes, plugins, and development that cost. Your WordPress Website is hosted on your server or a hosting company that you pay for and control. Much like a Kitchen Faucet will not produce water if it is not “hosted” by a plumbing system, your WordPress will not produce a website if it is not “hosted” by a server. Your WordPress website needs a home, a place to live. The combination of these layers creates an Amazing Self Hosted WordPress real estate website! Ok, so you probably knew that was coming. And, Yes, I have a vested interest. But, I try to stay as impartial as possible. Because I do believe that there are some really good Proprietary systems out there. However, I truly believe that if you are thinking about the future of your real estate business that there is no substitute for a Self Hosted WordPress website. I started a company about 4 years ago that was a Proprietary WordPress Platform. My partner and I built it up to over 700 monthly subscriptions, so I have a pretty good idea of how both sides of the debate work. 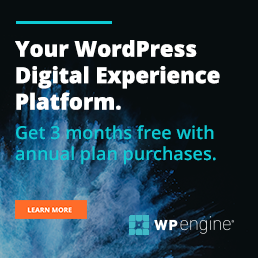 **Just because a company is offering a WordPress Solution does not mean that it is a “Self-Hosted WordPress Solution” — There are a few companies that offer a Proprietary-like WordPress website. Most of the “Big Names” in real estate websites are proprietary website solutions. If you decide to use one of these services, be aware that you are not the True Owner of your website. There are some advantages to renting a proprietary website, but they do not outweigh the disadvantages, most of the time. I am a partial voice trying to give a semi impartial opinion. If you are thinking long-term investment in your real estate career you should own your website. Great information. I have an still use both. I’m more about my self hosted site and totally agree that control over your work and efforts is key ! Joseph, thanks. I have had to start all over… and it is NO fun!